Oldenburg Verband is a very international organisation, traditionally many foreign buyers find their way to the Oldenburger auktions and since the latest years many exhibitors are also from abroad. This year Denmark were richly represented as buyers as well as exhibitors. The second highest price at the auction was paid for a colt with fascinating movements Kat .nr. 81 by Vitalis-Diamond Hit-Landadel, bred by Rotraud Haarlammert from Lienen and owned by BG Tiemann and Schwierking in Diepholz. 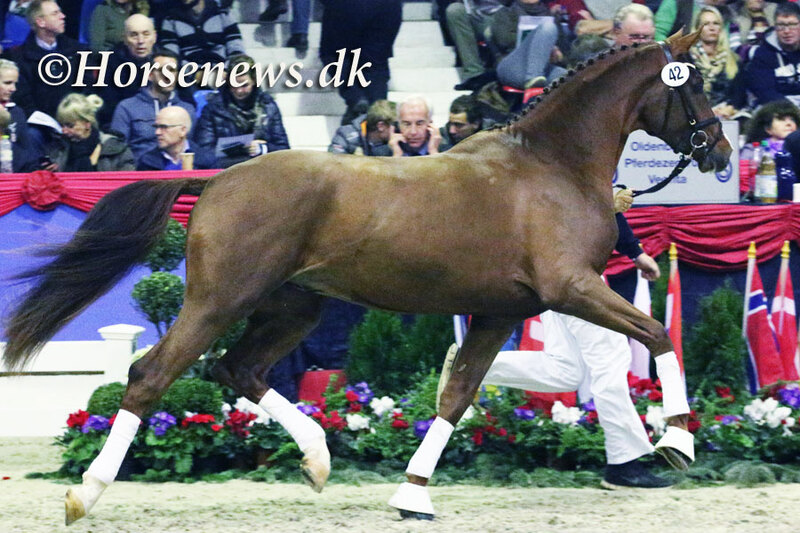 The Danish Olympic rider Andreas Helgstrand purchased this talented, licensed colt for 310,000 Euro. 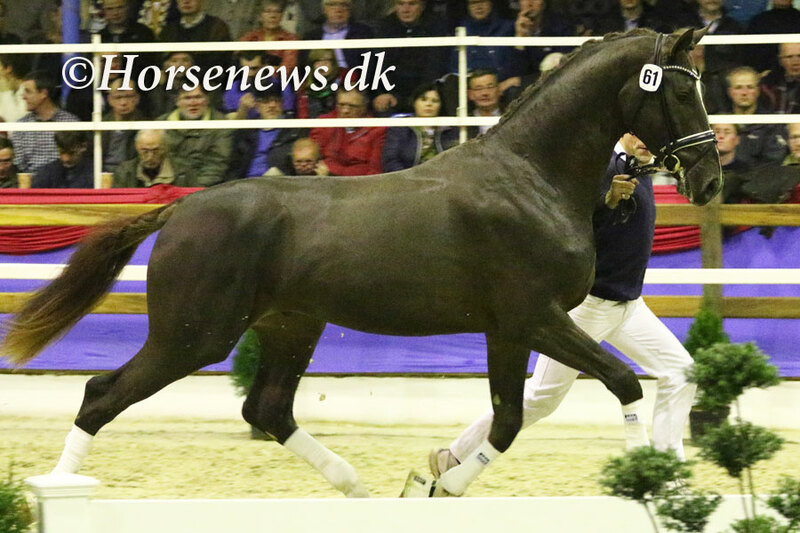 The danish breeders will undoubtly be looking for this stallion at the DWB-licening in Herning 2015. Kat nr. 61, a colt named Happy Feet by Blue Hors Don Schufro x Jazz x Contango from the iranian Elahe Ramezani living in Austria attracted attention with his lovely suppple and active moments. 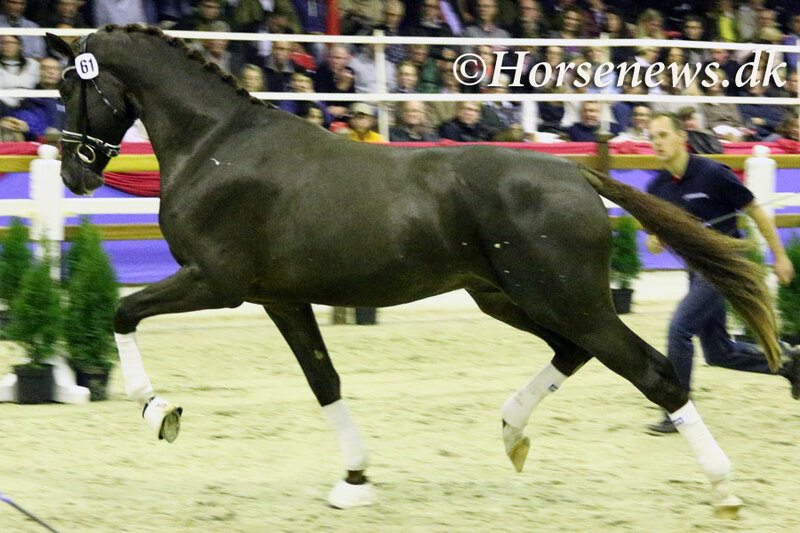 He was well prepared by Johannes Westendarp, and his further education will be layed in the hand of Andreas Helstrand.The danish breeders naturally hope to see this stallion again at the DWB-licening in Herning 2015, as Denmark is in great need of a quality Don Schufro-son to take over from his father. 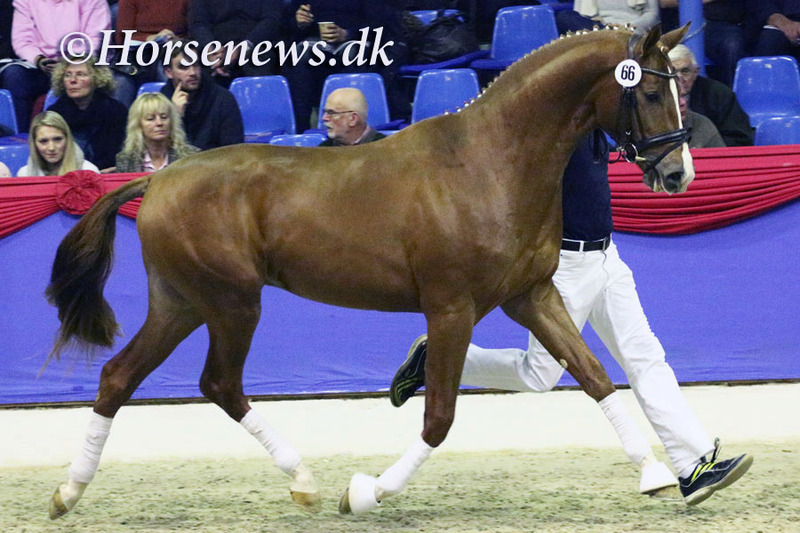 The full brother of Happy Feets dam is no less than Glock's Tango - a KWPN approved stallion successfully competing Grand Prix with Hans Peter Minderhoud. 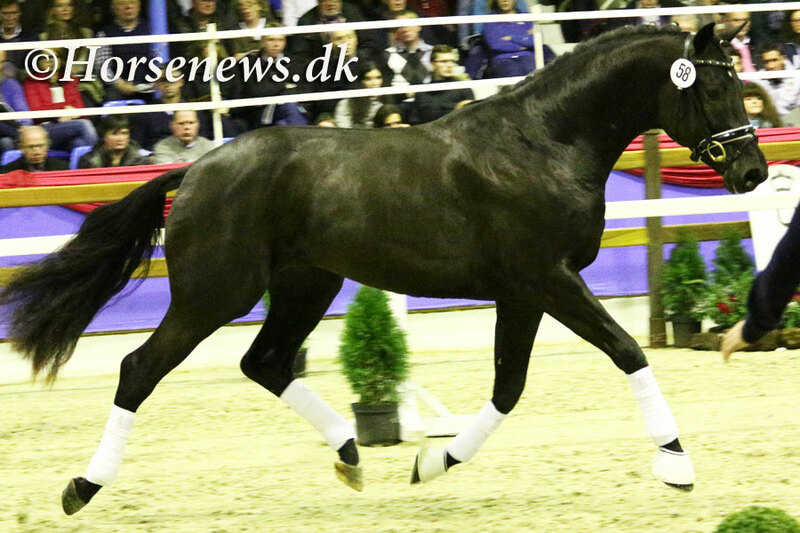 Tailormade Horses owned by the Norwigian Trine Stiansen - now living in Denmark - presented i the second best dressage stallion Tailormade Topgear Kat. nr. 78 by Totilas x Don Frederico x Sandro Hit. Breeder Sportsvision Stables in Mühlen. In the year when Gribaldi has best breeding stallion in the world there is a natural demand for G-blood among dressage breeders, and this noble and very modern and convincing mover is certainly an interesting obtion for breeders with an international outlook. 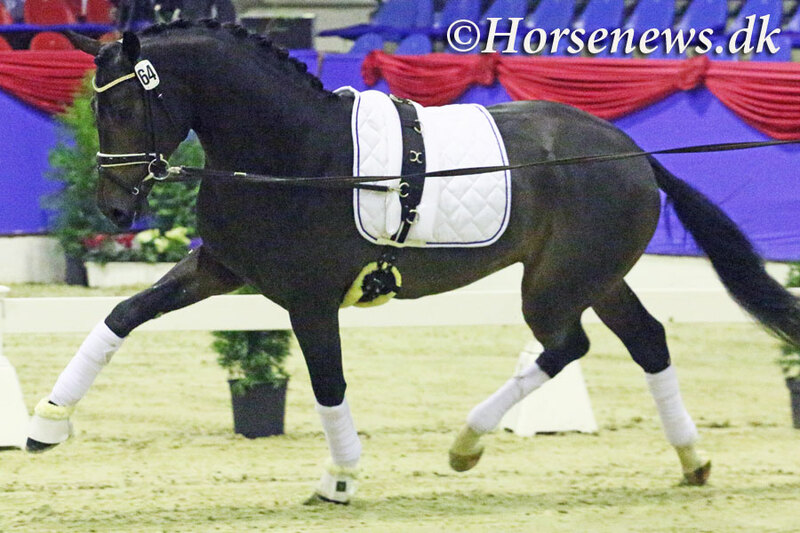 Blue Hors presented the third best dressage stallion at the licensing: Kat. nr. 82 Blue Hors Zorro by Zack x Alabaster x Donnerhall. Zorro was one of the colts, who showed himself optimally in the lounge work thursday afternoon. Zorro is very elegant and has a lot of charm. His movements are a convincing mix of the supple A-blood and the strong and uphill Rousseau-blood. The damline has already produced sires as Lord Loxley, Pik Ramiro and Pik Miro, the breeder is Zuchthof Bauer in Overgönne. Kat. nr. 82 Blue Hors Zorro by Zack x Alabaster x Donnerhall. licensing candidates the most convincing in the trotwork in the roundpen thurday afternoon, he is breed by Karl Rumpke in Wagenfeld registrated in Westfalia and he was approved. 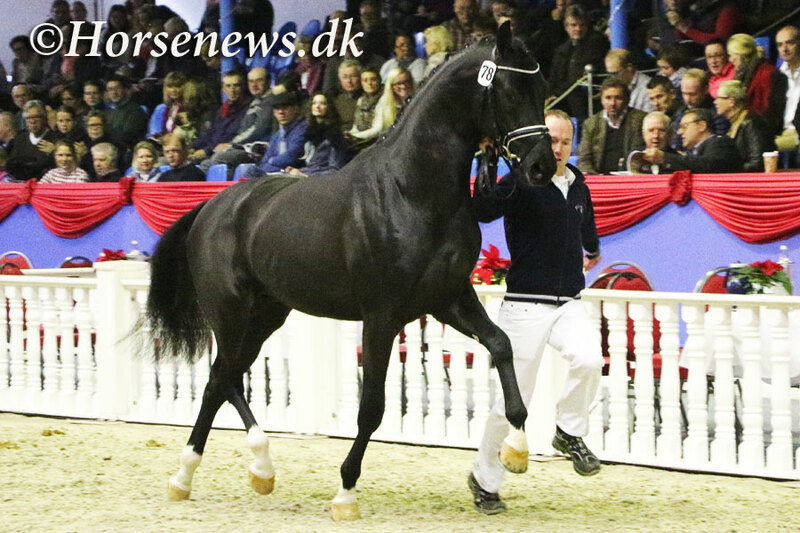 The dane Bjarke Laustsen - living in Sweden at Gunnarlunda - had dicided not to sell his black colt Kat. Nr. 58 by Detroit x Florestan x Ferregamo if not licensed. In the future we can only hope to see the dynamic moving Detroit-son again presented in sport by Bjarkes wife Patricia Florin. 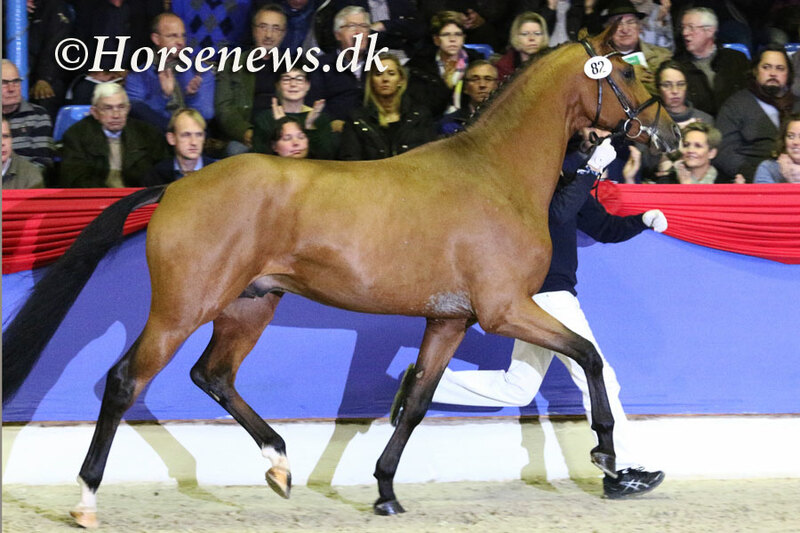 Stald Bøgegården presentet two chestnut colts at the lisensing and auction, both didn´t obtained approval. Kat. nr. 42 was owned by Bøgegården and sired by Bøgegårdens Boney M x Don Schufro x Ramir. 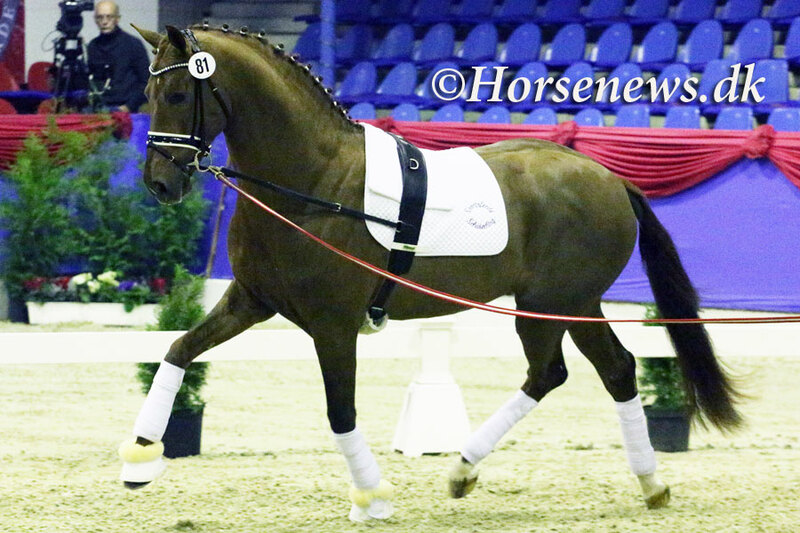 He sold to the Swedish dressage rider Emilie Nyreröd from Nyreröd Dressage for 25.600 €. The well moving colt is breed by John and Arne Elholm in Marstal in DK. The damline has produced the stallions Rock for You and Sixten Langholt. The other - also a very well moving chestnut colt - Kat. Nr. 66 by Fürst Piccolo x Prinz Segelhorst x Artwig was owned by the breeder Christine Rethmeyer i Lengerich, he sold for 22.000 € to clients in Niedersachsen. From this damline comes the important Grand Prix stallions: Bertoli W and Estobar. Kat. nr. 42 by Bøgegårdens Boney M x Don Schufro x Ramir.